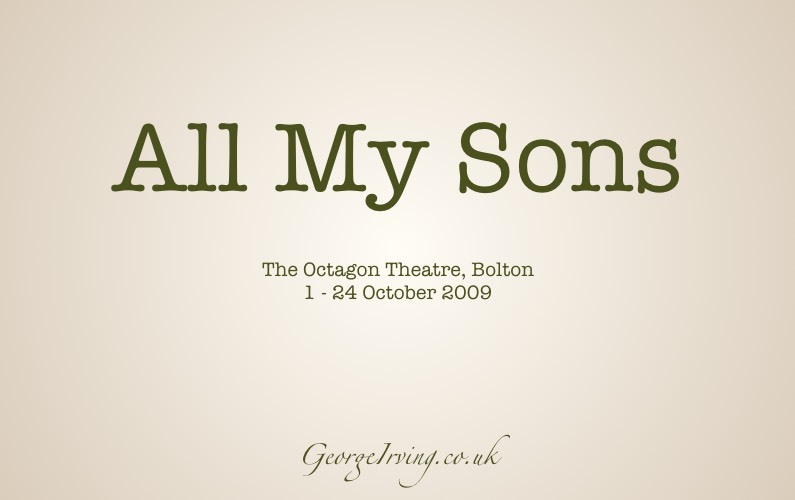 George starred in All My Sons, David Thacker‘s first production of the Octagon’s new season, running from 1st October 2009 to 24th October 2009. World War Two is over and peace reigns in American suburbia. Under a tree in the Keller families back yard planted to commemorate a son missing in action Chris Keller courts Annie the charming forthright young woman his brother left behind but their growing passion disturbs the surface calm of the Keller household. When a storm blows down the memorial tree a family secret is uprooted setting the characters on a terrifying journey towards truth. All My Sons, which brought Miller his first major success, was directed by David Thacker, who directed many Arthur Miller plays during his close working relationship with him. All My Sons wads nominated for Best Production in the Manchester Evening News Theatre Awards. Also nominated were Vanessa Kirby (Best Newcomer) and Oscar Pearce (Best Actor in a Supporting Role). 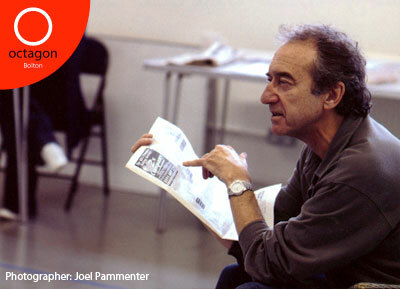 All My Sons, director David Thacker rehearsing six actors who give insights into Miller’s concerns and themes. Including clips from the 1948 Universal Studios production. Arthur Miller explains the provenance of All My Sons. Interview with Margot Leicester who is playing Kate Keller in the Octagon production exploring the character of Kate. Exploration of Joe Keller’s character with Arthur Miller and David Calder. Arthur Miller explores the character of George in All My Sons, with Finbar Lynch, Margot Leicester and clips from the 1986 Universal Pictures production of the play. Arthur Miller explores the notion of guilt and the bearing of this on the future of Chris and Annie.